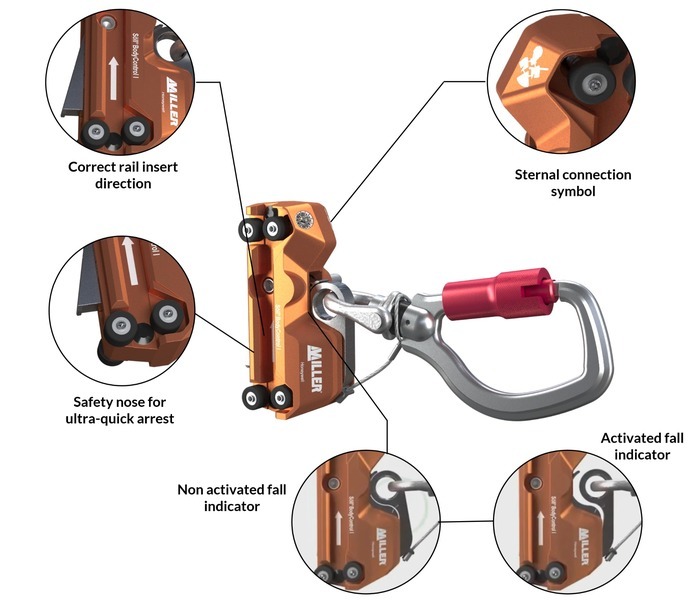 The recently published Satandard details the new design requirments and test procedures for Fall Arrest Systems such as our GlideLoc, PivotLoc and GuideRail. The Main outcome in relation to these is a change to the specification and design of the End Stops for all systems. The End Stop's designs have been changed to comply with the 12kN requirments of the new standard. As a result of this the following parts will change from 31st July 2015. Fixed ladders with Hoops do they stop you from falling? Hoops on Existing Fixed ladders do not stop your work force from falling. In some situations they can cause more harm than good! With the GlideLoc Vertical GuideRail system your employees will have confidence in their safety to carry out work quickly and efficiently. 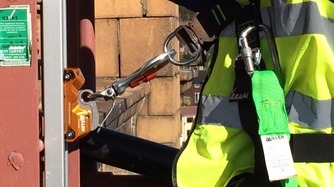 The system clamps to the existing rungs of Side stiles of the ladder making installation easier. Unlike Vertical Cable fall arrest the GlideLoc Rail spreads the load of a fall across all of the brackets and not just the top and bottom. Contact Us to provide advice. 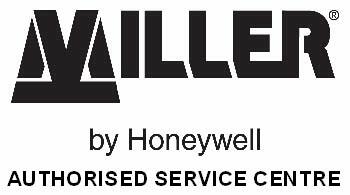 Safety At Height Limited is a Authorised Service Centre For the Full Range of Miller and SOLL Products. 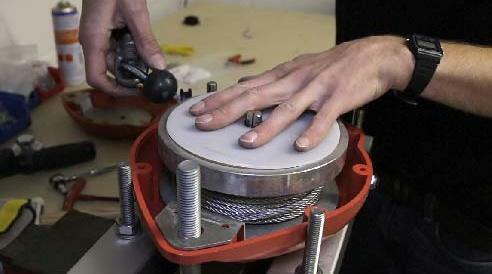 We can repair or Re-Certify your products in house, which allows us to offer a quick service. Call or email our servicing team today to book in your products for inspection. 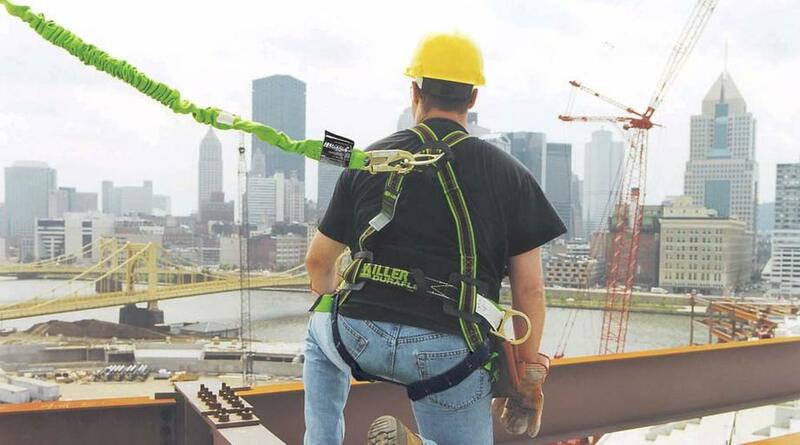 We notified our customers in March 2010 that the European Commission had withdrawn the European Standard EN 353-1: 2002 “Personal protective equipment against falls from height – Part 1: Guided Type Fall Arresters Including a Rigid Anchor Line”. This withdrawal followed a formal objection lodged by the UK to the European Commission on the basis that the Standard does not take into consideration all potential fall conditions. This followed the extensive works carried out by the HSE which has resulted in a new series of tests in the UK which have become known know as the ‘HSE 8 Tests’. We are again please to reaffirm that all Söll GlideLoc Systems have been fully tested in compliance with the requirements of the new UK tests. The EN353-1 withdrawal was published in the European Union’s Official Journal on the 19 March 2010. Since that date a new Standard has been under preparation. 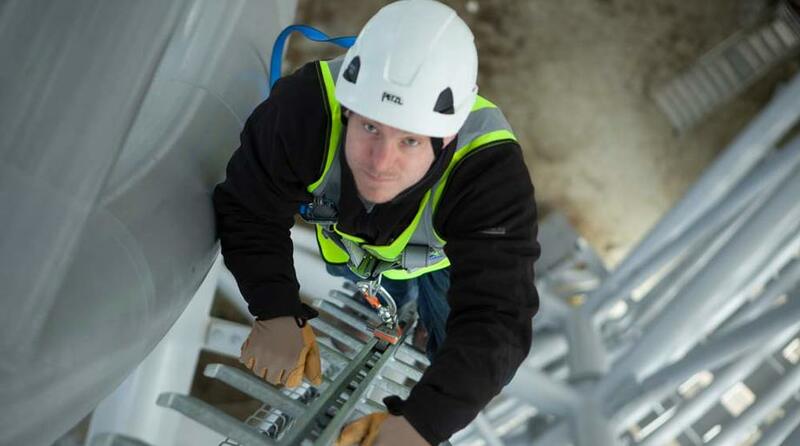 During the transition period, in parallel with the UK work, other EU notified bodies have implemented additional tests outlined in the test procedure CNB/P/11.073 to re-evaluate the safety of Fall Protection Systems in accordance with the European Directive 89/686/EEC. 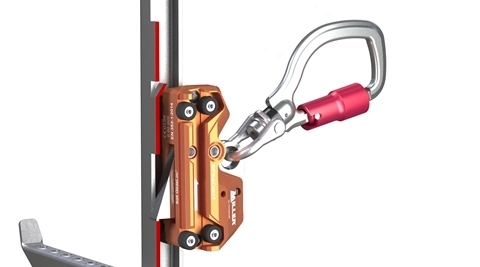 We are pleased to inform you that all the Vertical Fall Protection Systems that we currently sell have successfully passed these additional tests and confirm accordingly that these products can be used without restriction. They must of course be used in accordance with their applicable user manuals, and in particular the GlideLoc Travellers must only be used together with their associated GlideLoc anchor rail manufactured by Honeywell and supplied by us.